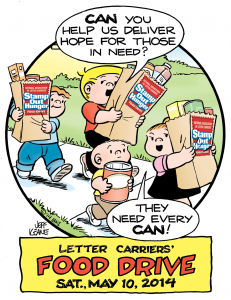 Unions across the country are asking members to help fight hunger by supporting the 22nd annual Letter Carriers Food Drive on Saturday, May 10, by leaving a nonperishable food donation in a bag by their mailboxes. Letter carriers will pick up the food donations and make sure they get to a local food bank or other charity within that community. Food banks and shelters usually benefit from an upswing in charitable donations during the winter holiday season. By springtime, however, their stocks tend to dwindle to critically low levels. “Helping local support organizations deal with this post-holiday lull in donations is the main reason we hold our national drive on the second Saturday in May,” said NALC President Fredric Rolando, adding that since many school meal programs are suspended during summer months, millions of children are left scrambling to find alternate sources of nutrition. More than 74 million pounds of food were collected during last year’s drive. 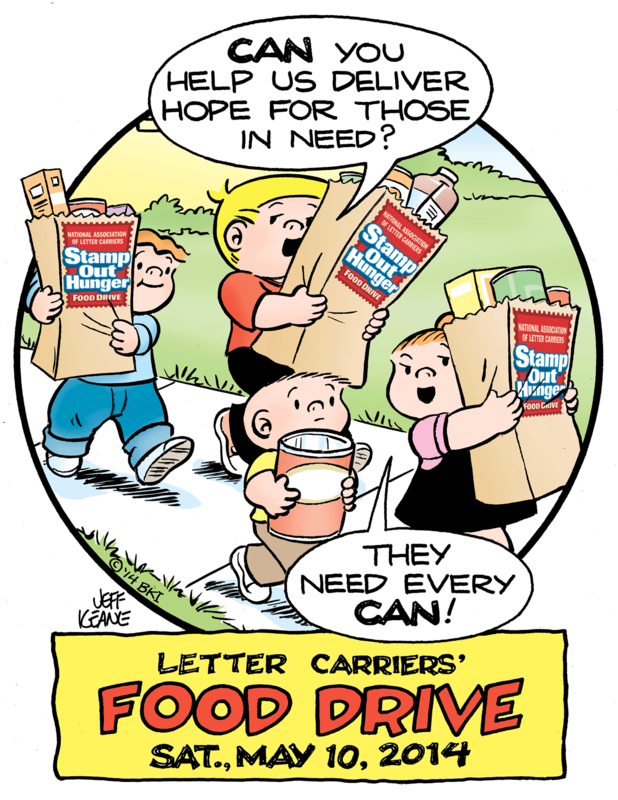 For more information, go to nalc.org or Stamp Out Hunger’s Facebook page.